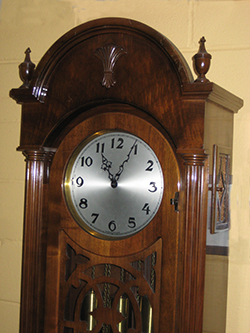 This is Not Your Grandfather's Clock... but it Could be Yours! This beautiful Art Deco Grandfather Clock was made in the 1920's. It has a rich walnut case and a traditional, melodious Westminster chime. The clock stands 81.5 inches tall and would be a beautiful statement piece in any home or office. This clock was generously donated to the TVA for the purpose of fund raising. The proceeds of this sale go to the TVA and support our mission of preserving and promoting local history. You will be amazed at the stories of the people who walked the streets and trails of Peterborough in years gone by. Many of those same people have their final resting place in Little Lake Cemetery, Canada’s most historic landscape cemetery. Join us on October 28th and you will be spell bound by a cast of talented denizens who will share their own stories - tales both macabre and enlightening. 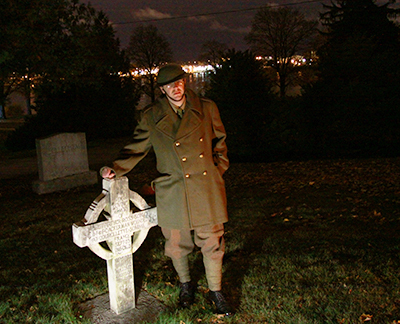 Format: A guided walking tour within Little Lake Cemetery with actors portraying historical characters. 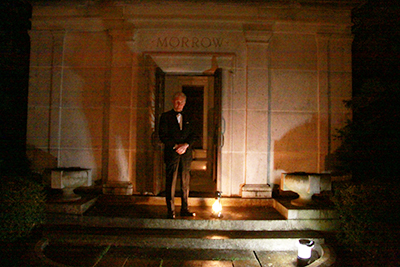 Tours: run every half hour from 6:00 PM to 8:30 PM. Tours Start: At the main gates at the corner of Crescent and Haggart streets. Parking: No cars are allowed in the cemetery during the tours. Please park outside the main gates on either Crescent St. or Haggart St.
We Suggest: Wear sturdy shoes & bring a flash light. Reservations are required, call (705) 745-4404. Copyright © 2014 Trent Valley Archives, All rights reserved.